Product Description Gemstone Name : Natural unheated ruby Number of Pieces: 1 Pc Weight: 2.42 carat Gem Shape: Cushion mix .. Product Description Gemstone Name : Natural Mozambique ruby Number of Pieces: 1 Pc Weight: 2.81 carat Gem Shape: Octagon mix cut .. Product Description Gemstone Name : Natural ruby Unheated Number of Pieces: 1 Pc Weight: 2.86 ct Gem Shape: .. Product Description Gemstone Name : Natural Mozambique ruby Number of Pieces: 1 Pc Weight: 2.86 carat Gem Shape: Oval mix cut .. Product Description Gemstone Name : Natural ruby Unheated Number of Pieces: 1 Pc Weight: 2.89 ct Gem Shape: .. Product Description Gemstone Name : Natural unheated ruby Number of Pieces: 1 Pc Weight: 2.95 carat Gem Shape: &nb.. Product Description Gemstone Name : Natural Mozambique ruby Number of Pieces: 1 Pc Weight: 2.96 carat Gem Shape: Oval mix cut .. Product Description Gemstone Name : Unheated untreated Ruby Number of Pieces: 1 Pc Weight: 2.97 ct Gem Shape: &nbs.. Product Description Gemstone Name : Unheated untreated Ruby Number of Pieces: 1 Pc Weight: 2.98 ct Gem Shape: &nbs.. Product Description Gemstone Name : Natural Mozambique ruby Number of Pieces: 1 Pc Weight: 2.98 carat Gem Shape: Oval mix cut .. Product Description Gemstone Name : Natural Mozambique ruby Number of Pieces: 1 Pc Weight: 2.99 carat Gem Shape: Oval mix cut .. Product Description Gemstone Name : Natural unheated ruby Number of Pieces: 1 Pc Weight: 3.00 carat Gem Shape: &nb.. Product Description Gemstone Name : Unheated untreated ruby Number of Pieces: 1 Pc Weight: 3.08 ct Gem Shape: &nbs.. 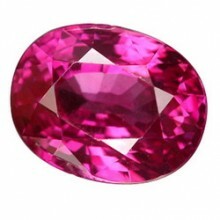 Product Description Gemstone Name : Natural unheated pink sapphire Number of Pieces: 1 Pc Weight: 3.08 carat Gem Shape: .. Product Description Gemstone Name : Natural unheated ruby Number of Pieces: 1 Pc Weight: 3.10 carat Gem Shape: &nb.. Product Description Gemstone Name : Natural ruby Unheated Number of Pieces: 1 Pc Weight: 3.10 ct Gem Shape: .. Product Description Gemstone Name : Natural ruby Unheated Number of Pieces: 1 Pc Weight: 3.15 ct Gem Shape: .. Product Description Gemstone Name : Natural ruby Unheated Number of Pieces: 1 Pc Weight: 3.30 ct Gem Shape: .. Product Description Gemstone Name : Natural ruby Unheated Number of Pieces: 1 Pc Weight: 3.31 ct Gem Shape: .. Product Description Gemstone Name : Natural unheated ruby Number of Pieces: 1 Pc Weight: 3.37 carat Gem Shape: &nb.. Product Description Gemstone Name : Natural unheated ruby Number of Pieces: 1 Pc Weight: 3.40 carat Gem Shape: &nb.. Product Description Gemstone Name : Natural ruby Unheated Number of Pieces: 1 Pc Weight: 3.43 ct Gem Shape: .. Product Description Gemstone Name : Natural ruby Unheated Number of Pieces: 1 Pc Weight: 3.77 ct Gem Shape: .. Product Description Gemstone Name : Natural Purple sapphire Number of Pieces: 1 Pc Weight: 3.78 ct Gem Shape: Oval mix .. Product Description Gemstone Name : Natural ruby Unheated Number of Pieces: 1 Pc Weight: 3.79 ct Gem Shape: .. Product Description Gemstone Name : Natural ruby Unheated Number of Pieces: 1 Pc Weight: 3.98 ct Gem Shape: .. Product Description Gemstone Name : Unheated untreated Ruby Number of Pieces: 1 Pc Weight: 4.02 ct Gem Shape: &nbs.. Product Description Gemstone Name : Natural ruby Unheated Number of Pieces: 1 Pc Weight: 4.24 ct Gem Shape: .. Product Description Gemstone Name : Natural Purple sapphire Number of Pieces: 1 Pc Weight: 4.43 ct Gem Shape: Oval mix .. Product Description Gemstone Name : Unheated untreated Ruby Number of Pieces: 1 Pc Weight: 4.32 ct Gem Shape: &nbs.. Product Description Gemstone Name : Natural Purple sapphire Number of Pieces: 1 Pc Weight: 4.58 ct Gem Shape: Cushion mi.. Product Description Gemstone Name : Unheated untreated Ruby Number of Pieces: 1 Pc Weight: 4.74 ct Gem Shape: &nbs.. Product Description Gemstone Name : Unheated untreated Ruby Number of Pieces: 1 Pc Weight: 5.10 ct Gem Shape: &nbs.. Product Description Gemstone Name : Untreated pink sapphire Number of Pieces: 1 Pc Weight: 5.84 carat Gem Shape: &.. Product Description Gemstone Name : Untreated sapphire Number of Pieces: 1 Pc Weight: 8.18 carat Gem Shape: ..